Winter is only four days away here in Victoria, so it’s time to start thinking of hearty winter casseroles. The combination of tomato sauce, vinegar, curry powder and brown sugar in this recipe reminds me of another one I make, which has pumpkin instead of the potato in it. The good thing with this recipe is that you probably have all the ingredients in the cupboard so it can be a last minute decision to make it. 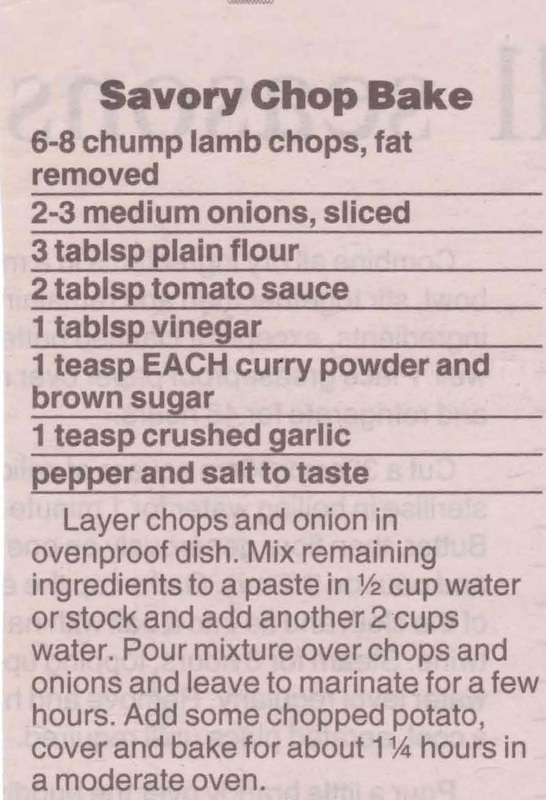 There was a time when racks of lamb were a lot cheaper than they are now, so using them in a casserole was probably OK, but with the price they are now I think I’d make this recipe with a cheaper lamb cut – chump chops would work just as well. Lamb and vegetable casseroles have always been a staple dish in Australian households. 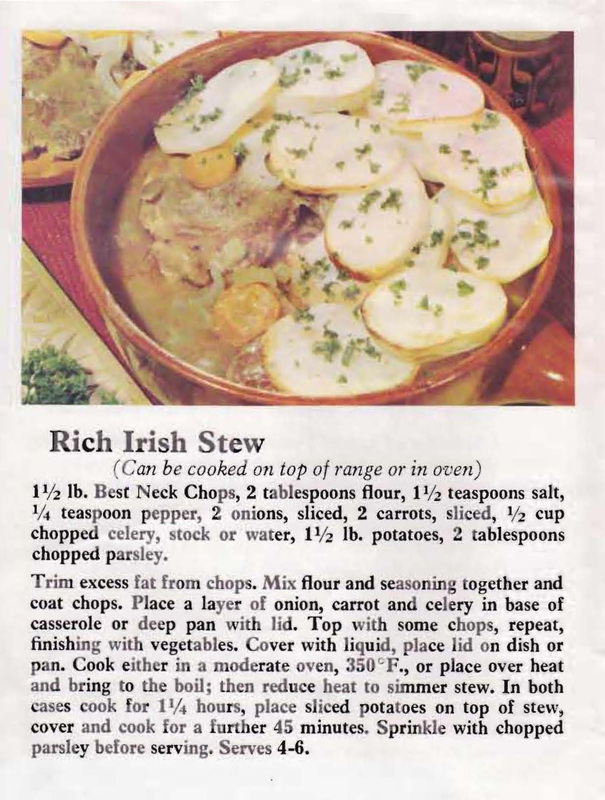 From early on lamb was readily available and any vegetable could be added to bulk the dish out to feed a family. 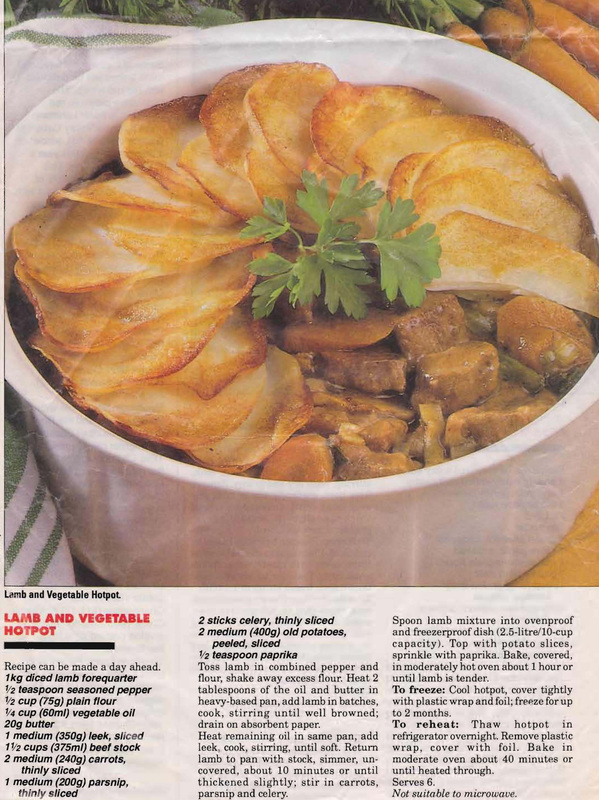 Originally it probably came to Australia as a Lancastershire Hot Pot, but whether you call it that or like this recipe Lamb & Vegetable Hot Pot it is always a hearty dish topped with potatoes.